For those patrons of Dressel’s who have been around for the past decade, or longer, you’ve seen a lot of changes to the menu. Our focus on farm to table and seasonality, driven by ambitious chefs, led us down a road of frequent changes. Some of the best food in Saint Louis came out of those menus but here we are almost 10 years later, nearly back to where we started, with simple, fresh, local, and always loved Pub Grub..
As we move into fall, there are several things we want to achieve while providing the best all around menu for our type of establishment. In terms of mission our goal has always been to direct source ingredients as much as possible, even though the product availability affects the menu’s stability. While a minority of Saint Louis wants an ever changing seasonal menu, the majority like a more stable dining experience. They like to think about the kind of food they want to eat and head out to a place that caters to that genre. Add to this more recent trends in fast casual, home delivery and home packaged meals and we have a lot of competition to consider. Proteins are by far the easiest to source year round and our menu is very strong in locally sourced meats. Ridgley Beef and Reckamp pork are the backbone of the carnivorous side of our menu. Up to four hogs a month show up in various ways across the menu including: Bangers and Mash, Cuban Sandwich, Pulled Pork, Bacon, Ham and Bean Soup, and the list goes on. Bob Ridgley’s cows continue to help us build the best burger in town and a very tasty steak frits as a bonus. 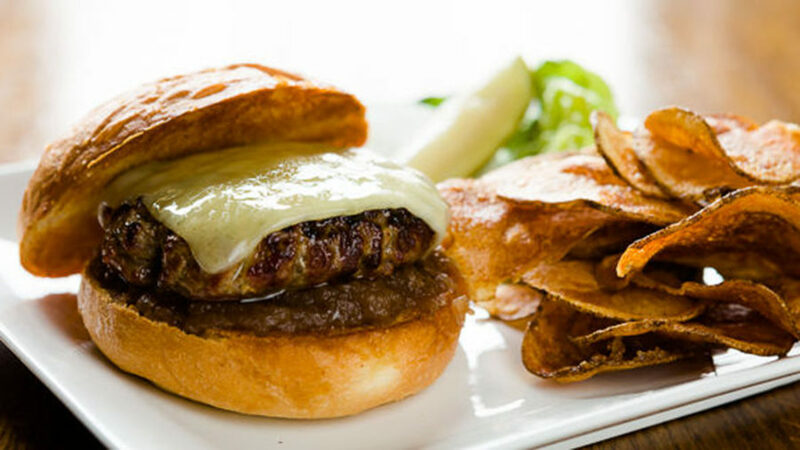 The folks from Root and Holler provide the best Missouri Lamb you can find for our lamburger. Other things we’re proud is our direct sourcing of seafood. Our fish and chips are a signature, best-in-class dish due to the fresh haddock we fly in from the east coast twice a week. Our oysters are direct sourced from the Nisbet Oyster Company in Wilapia Bay, WA, and we fly those in direct as well. Dusted up and dropped in the fryer, Dressel’s Dusted Oysters are a briney, tasty treat for seafood lovers. The approach to our menu is about quality, simplicity and consistency. After almost 40 years of being one of Saint Louis’s most loved pubs it’s safe to say people have a set of expectations, which we hope to live up to. To be a pub and to keep it real. Real pubby.